AHMED BEDRI MBE, a prominent and distinguished Sudanese Diaspora is honoured in the latest Queen’s Birthday Honours List 2018 (no. 373). 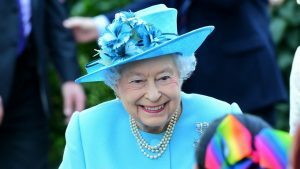 The Queen’s Birthday Honours List 2018 recognises the achievements of a wide range of extraordinary people across the United Kingdom. British honours are awarded on merit, for exceptional achievement or service. King George V created these honours during World War I to reward services to the war effort by civilians at home and servicemen in support positions. The ranks are Commander (CBE), Officer (OBE) and Member (MBE). They are now awarded for prominent national or regional roles and to those making distinguished or notable contributions in their own specific areas of activity. The honour of an MBE, in particular, can be given for achievement or service in the community. Among the list of other distinguished Sudanese included in the past honours lists (examples) are: El-Khidir Daloum Mahmoud Ahmed, International Humanitarian Expert awarded MBE (Member of The British Empire) in recognition of his service to Children (watch talk video here) and Dr. Hania Morsi Fadl, Founder & CEO Khartoum Breast Care Centre awarded OBE (Order of The British Empire) in recognition of her services to women in Sudan (watch interview here). The UK honours system is overseen by the Cabinet Office Honours and Appointments Secretariat. Nominations, submitted either by government departments or by members of the public, are divided into subject areas and assessed by committees comprising independent experts and senior civil servants. Their assessments are passed to a selection committee that produces the list, independently of government, that is submitted to the Queen through the prime minister. The Queen informally approves the list and letters are sent to each nominee. Once a nominee accepts the proposed honour, the list is formally approved. The honours are published in the official Crown newspaper, the London Gazette, twice a year – at New Year, and in mid-June on the date of the Queen’s official birthday. The Central Chancery of the Orders of Knighthood at St James’s Palace then arranges investitures for the recipients to be presented with their medals by the Queen or other members of the Royal Family.